There is a wide range of efficiency ratings and features with the technology of today’s air conditioning systems. Today’s units are more efficient, quieter, and much more comfortable. SEER rating help identify how much energy each unit will use. SEER stands for Seasonal Energy Efficiency Ratio. The higher the SEER rating the more efficient the air conditioner. The lowest SEER rating currently is 13. Some air conditioners can be over 20 SEER efficient! That is about 60% more efficient than the 10 SEER units that most people are now replacing. Although price is always a factor when buying a central air conditioning system, proper sizing and installation are just as important. We run into customers that got the “great deal” on a new air conditioner and ended up having to spend more money to fix it. 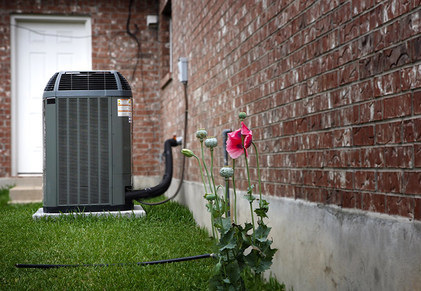 ​Have your new central air conditioning system installed right and you will reap the benefits of lower energy bills, and repair costs, for years to come. We will listen to your specific needs and your budget to help you choose the right air conditioner system for your home. We carry most major brands including: Lennox, Bryant, Carrier, Trane; Commercial Products, Frigidaire, Rheem, Amana, Comfortmaker, Gibson, Goodman, American Standard, Mitsubishi, Bard, Miller, Ruud, Payne, Tempstar, York and Armstrong. When you have an HVAC project in Tampa, Plant City, Central, Florida, that you need done right, having the team from Global Green Footprint, Inc.©™ take care of it can ensure that everything goes as smoothly as possible. We're professionals and committed to performing exceptional work that exceeds customer expectations. Our technicians offer comprehensive services, including providing price quotes before starting and making sure that everything is spotless before they leave.